III. For your reference, placed below is the data for Chartered Accountants Intermediate (IPC) Examination held in November 2018. III. 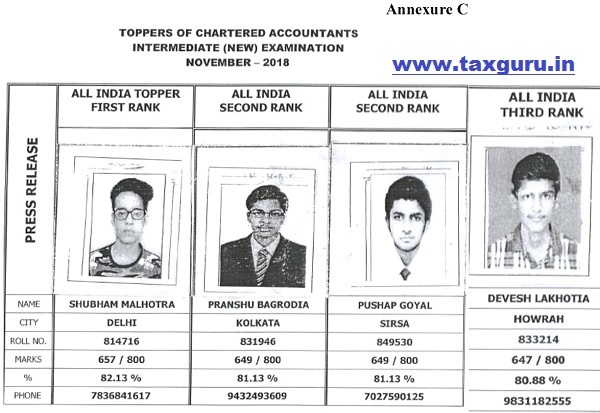 For your reference, placed below is the data for Chartered Accountants Intermediate (New) Examination held in November 2018.